Leica M2, 50mm Summicron, Tmax 400 developed in Firstcall Superfine. T.O.D. contributor David M., in a comment on my previous post, advised against gathering together my "Greatest Hits", lumping them into a box and calling it a "portfolio". David's view is that images benefit from being organised into related groups or themes with each group, if desired, given its own distinctive appearance through image size, paper size, print tone, etc. As usual, he has a good point. This was something I gave some thought to on my previous portfolio ponderings of 2013 but I was thinking along the lines of a 35mm portfolio and a 6x6 one. I think it jars when a portfolio mixes different formats. I'd even go as far as to suggest that the 35mm groupings might be split into portrait and landscape formats. 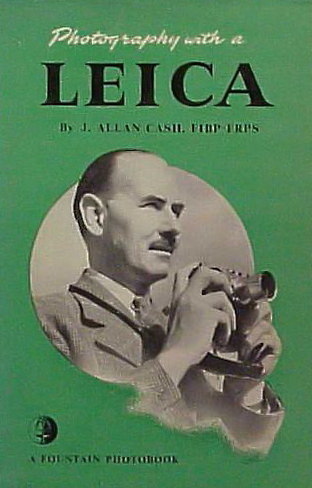 "An interesting thing seems to be happening to the Man/Leica partnership. It's teaching you what sort of pictures it likes to take." He'll probably deny it but he's a very perceptive guy. Phil Rogers and one or two others have also suggested that I might start to see a change in the type of pictures I take with the Leica M2 as opposed to, say, my OM2n. After a slow start, I think I'm beginning to see a little of that emerging. Now, it could simply be that the Leica outfit I have is somewhat limiting in certain areas, namely wide angles, long teles and close-ups. That almost rules out particular types of photograph and forces me to concentrate on what the M2's good for. Or perhaps the Leica does indeed encourage a different way of seeing and this leads to a different style of photography. I'm inclined to think it's the latter simply because I seem to be going after photographs that I quite probably wouldn't have with the OM2n. For instance, there's a greater tendency for me to concentrate on small parts of the landscape or beach rather than take in wider views. Another comment that springs to mind is one of Phil's where he said the M2 with standard lens (he was talking specifically about the Elmar but I suppose it applies to the Summicron as well) is great for pics around the 10 ft range and closer. Take the photo at the top of this post. 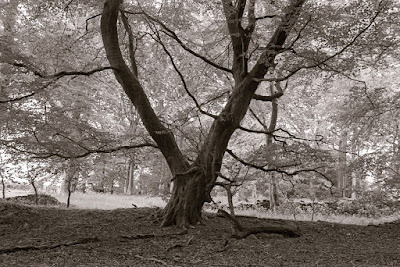 I would never have taken that with the OM2n but I can't quite work out if that's a good thing or a bad thing. 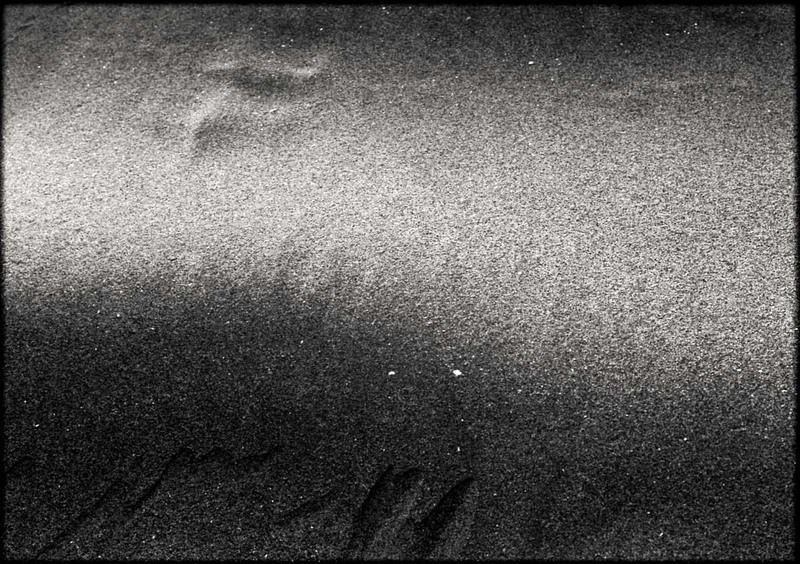 Is this shot of just a small section of sand on a beach too minimalist to have any value? What it does do is demonstrate that the Summicron - even the one I have which needs a clean - is no slouch. The neg is sharp all over apart from at the top where I ran out of depth of field. But returning to the portfolio issue and the merits of having a Leica one, I suspect there's a certain synergy to be gained by printing all the M2 shots on the Focomat 1C enlarger and the 50mm Focotar enlarging lens. I can't help thinking that the M2 and the Focomat 1C, albeit separated by about 15 years, were made for each other. The fine engineering of the camera is carried over to the Focomat in a way it isn't with the more modern Focomat V35 enlarger, excellent though the latter is. An all-Leica "workflow" just seems like a good thing to try. Now, if I developed the film in a Correx tank, that would really be a Leica portfolio! One of my photographic heroes was pioneering photojournalist J. Allan Cash (that's him above). He recorded much of Europe in the 1930s, particularly Germany during the rise of Adolph Hitler and post revolution Russia. He used a Leica II, a 50mm f2 Summar and developed his negs in a Correx tank. There's just something romantic about using the same set up but I know I'd never be able to get on with a Barnack body because of the viewfinder. But the successors to Allan's Leica gear - the M2 and Summicron - are close in both body and spirit! Portfolio? Is this the Year? This is pure conjecture on my part, but does having the ability to frame a shot within the viewfinder have a lot to do with it? I've never shot a rangefinder, so I do not know, but it strikes me as the obvious difference. On the concept of a consistent portfolio, I'm wondering if only 1 or 2 elements need to be consistent? I've been working on a project for almost a year (Carpenter Gothic Churches), so the subject matter is consistent. But as to process, some are Palladium prints while most are silver gelatin. On the latter, I've been sepia toning to get a warm tone similar to the Palladium. Hopefully, these two elements will result in a good portfolio. I didn't pick you as any particular Leicaphile over the last couple of years so what you are revealing in taking up the M2 is fascinating. I wouldn't be so sure about not getting on with the Barnack. My latest camera is a Leica II with the 1932 Nickel collapsible Elmar. I have a more modern SBOOI finder on top and use the FISON hood and it is fantastic. Light and discreet. Collapsed, the whole thing is tiny. With the SBOOI it's better than an M. I think one of the things about using a Leica over an OM, which I have but have not used nearly so much, is that the shots are all the more conceived and framed to some extent before raising the camera to the eye. There's no temptation to see what apparent wonder will be reflected into the viewfinder. You know it will just be a 0.72 x version of what's already in front of you, interfered with by a rangefinder patch, and with any other M Leica, the added encumbrance of redundant frame lines. So peering through adds nothing and is merely a necessary step to approximate framing, and of course accurate focus - if that is even needed. Even more liberating is to use an M Leica with a 25 or 21 and no external finder. It is all in the head then. With the 28mm frame lines available in the later cameras I can hardly see them. I used an external finder the first time I mounted the 28, and never once since. That sounds like a great idea Bruce.Would this include some thought on film and developers and paper used? I remember your blogs on the desirability of the 'classic old look' images as well.I read somewhere a 44A Wratten gelatin filter can give an ortho look to a modern panchromatic film. The variety of approach to film photography seems endless. Its a great hobby. Hi Bruce. I think your beach photo works very well.there's a nice spread of light and shade and its distributed in a way that makes me wonder what it is I'm looking at. Flat lighting on that scene would have been very boring!